A mirror arrives on her twelfth birthday and she thinks it’s the perfect gift. But when an innocent game of laser tag gets out of hand, the mirror swallows her whole! Sarah finds herself dead center of the Underworld. As if repeated run-ins with Mr. Death weren’t bad enough, Sarah now has to deal with her decaying flesh and sudden craving for brains. Not to mention she keeps having brain freezes, all due to the seven worms living in her head. Of corpse, by the time Sarah escapes the Underworld, she finds her new zombie life less than appetizing. Even worse, she needs to return to the Underworld to save her friends, Cindy and Scarlet. 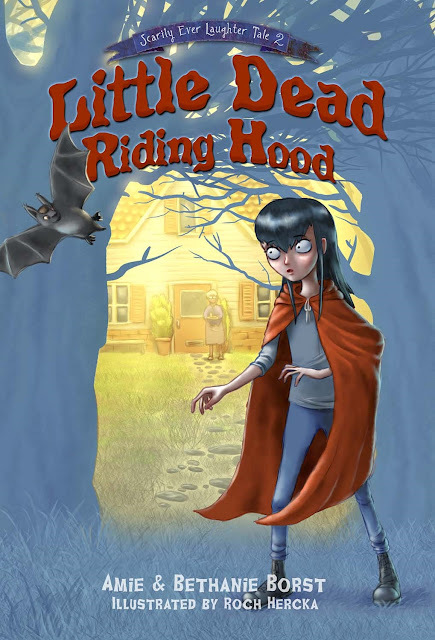 With a poisoned apple, a crow named Raven, and a glowing necklace, Sarah’s pretty sure that if she doesn’t rescue her friends, she’ll be a brain craving zombie forever. And that’s more dead-ication than she’s willing to accept.